The series will be up for the entire month of November and can be viewed any time the studio is open. The Rock Series by June are large scale, original, acrylic on 2″ gallery wrap canvas…some with a little extra like silver leaf and wax, or paper. 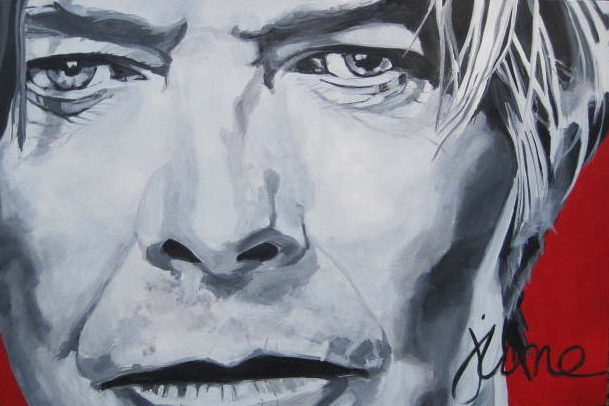 June is also available to do commissioned pieces of your favorite Rock Icons. Contact.